Slay in ombré. New sport styles that fade to win. 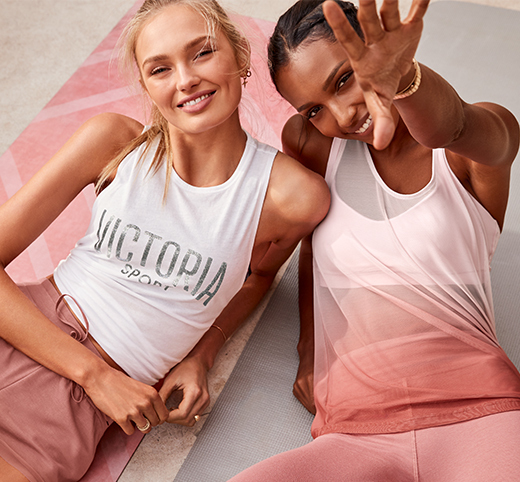 Take a look at the latest sports apparel and workout clothes designed exclusively for women that don't sacrifice style for function. A not-so-classic crew, here with raglan sleeves and a flirty open back. Second-skin fit with smoothing support, it's the tight you've been waiting for with quick-dry Body-Wick fabric, pockets in all the right places and a 7/8 length. The best gets better: nylon performance fabric with 4-way stretch meets a new waistband that slims and stays in place for total comfort.